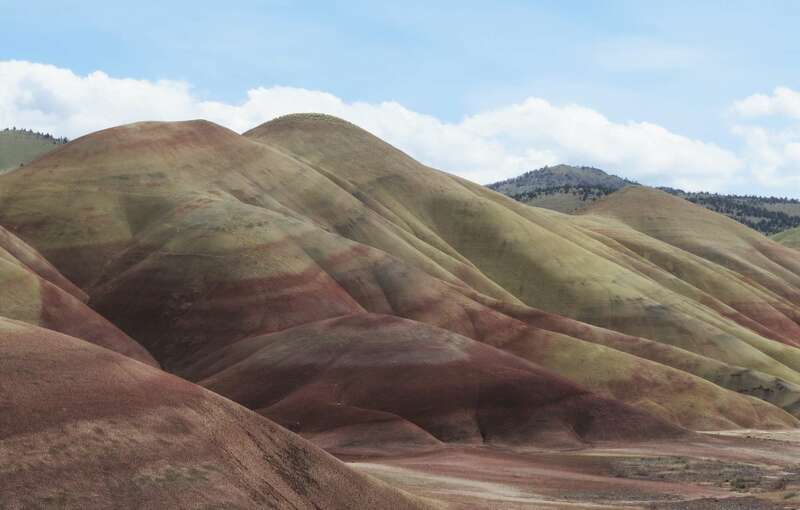 They don’t call the Painted Hills one of Oregon’s Seven Wonders for nothing. The eight wonder is why I’d never visited before. 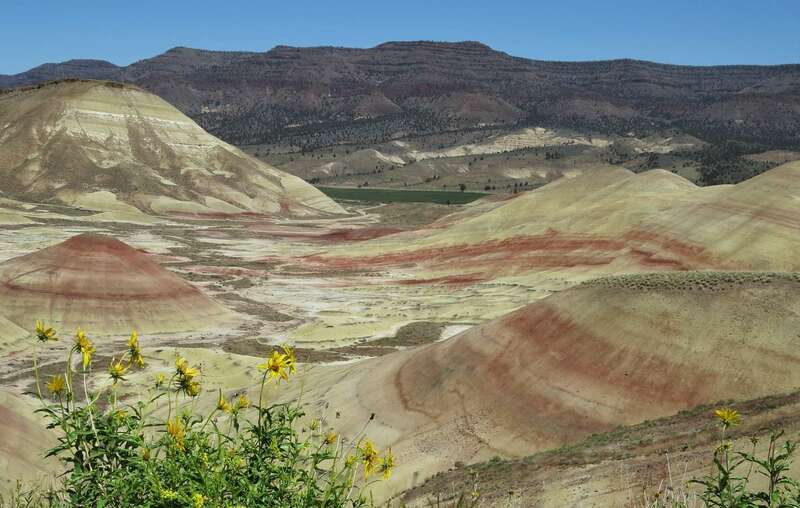 Truthfully, I never liked the desert. 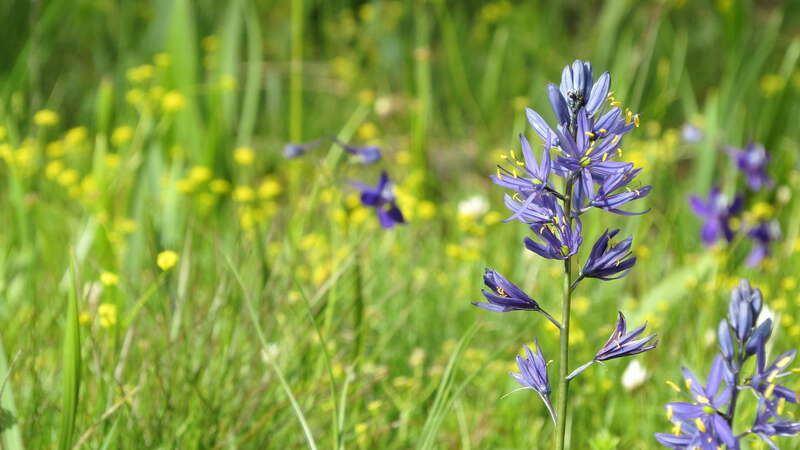 It’s hot, dry, exposed, I’m more of a lush, green forest kind of girl. But that’s what birding does. It opens the world up to possibility even in remote places. 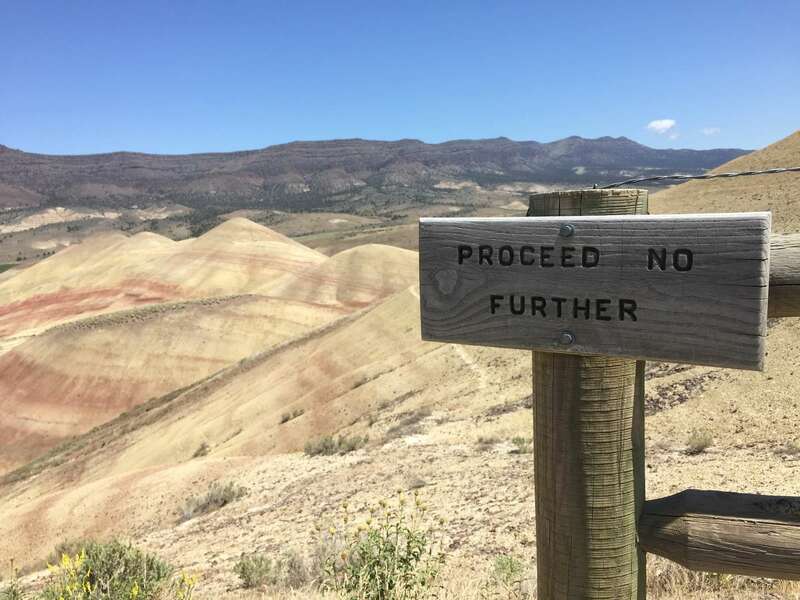 Like nomads, Tomas and I spent three days exploring Oregon’s vast east, the John Day Fossil Beds National Monument, that includes three units: Clarno, Painted Hills, and Sheep Rock. 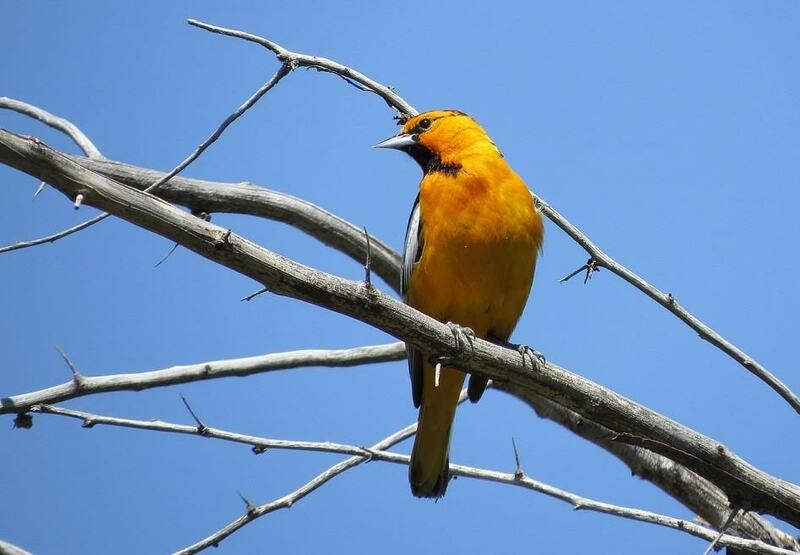 Highlights included listening to Bullock’s Orioles chatter along the John Day River at our campsite while hanging out with a nesting pair of Osprey. 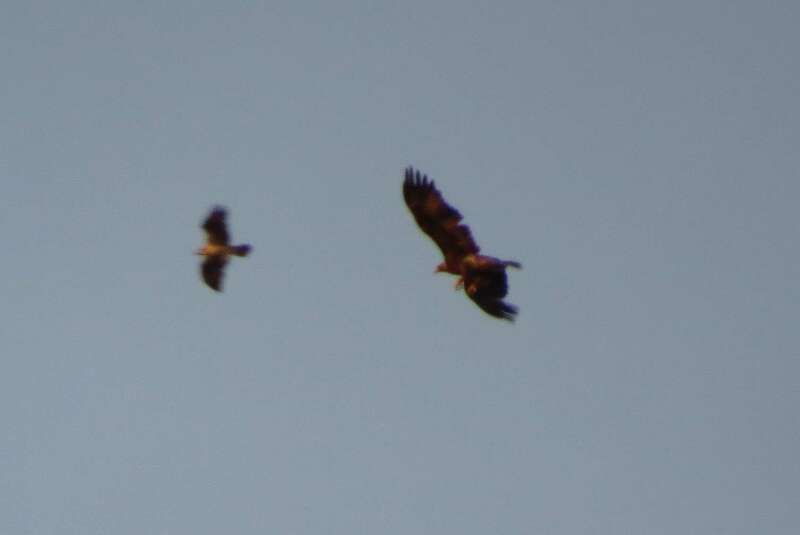 And watching the Osprey boldly dive after a Golden Eagle that came too close to the nest perimeter. At a random rest area along U.S. Hwy. 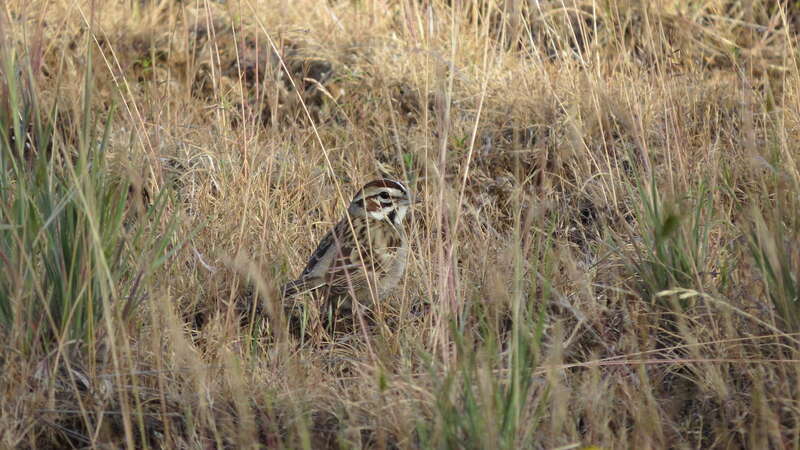 97 I found my first Lark Sparrow. What a striking facial pattern! 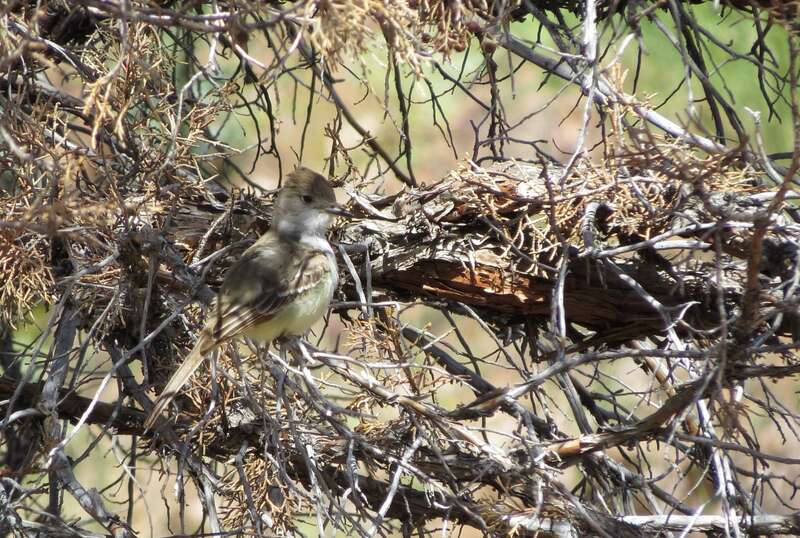 I hiked along the Blue Basin Rim Trail in the Sheep Rock Unit and saw Say’s Phoebe, Western Kingbird, more Lark Sparrows, and a new hummingbird! 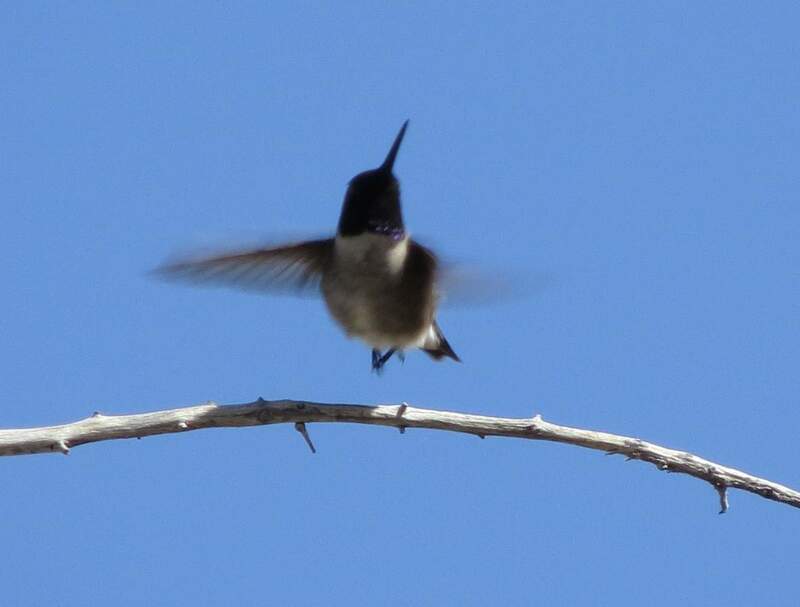 All hummingbirds are Anna’s to me until proven otherwise, and it wasn’t until I was able to examine the photos more closely that I could see a thin bit of iridescent purple under the black chin, positively ID’ing the Black-chinned Hummingbird! 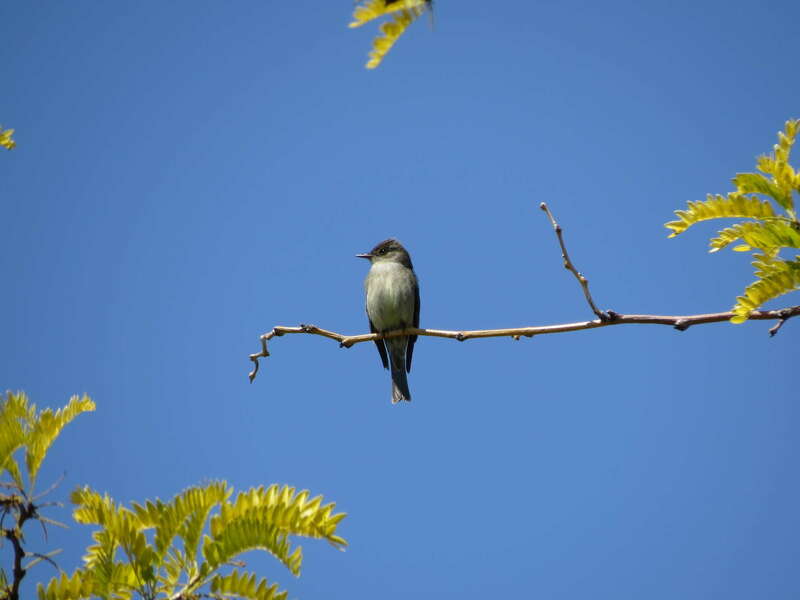 And I met a new-to-me flycatcher, the Ash-throated Flycatcher! 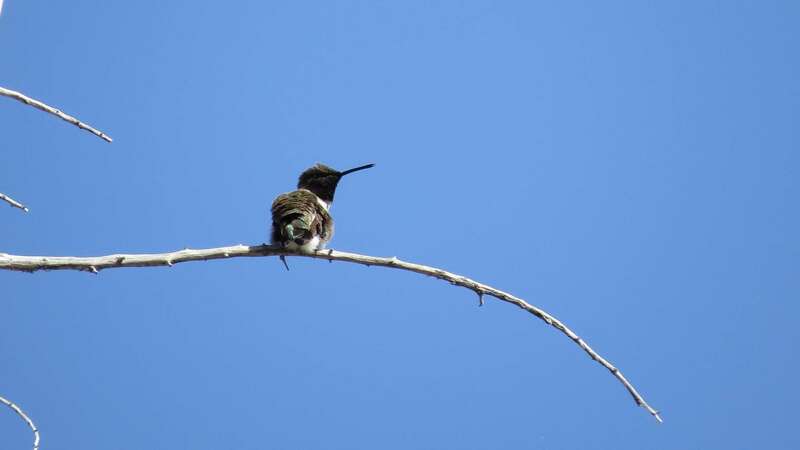 Identified by habitat (open, arid areas), the pale grey chest, pale yellow belly, and long rusty tail. 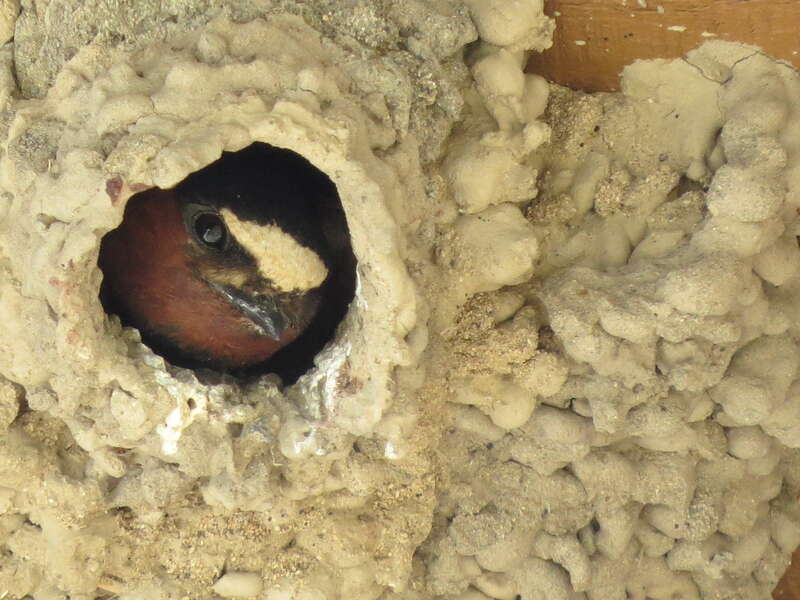 Under the eaves of the Thomas Condon Paleontology Center, we got up-close views of nesting Cliff Swallows. 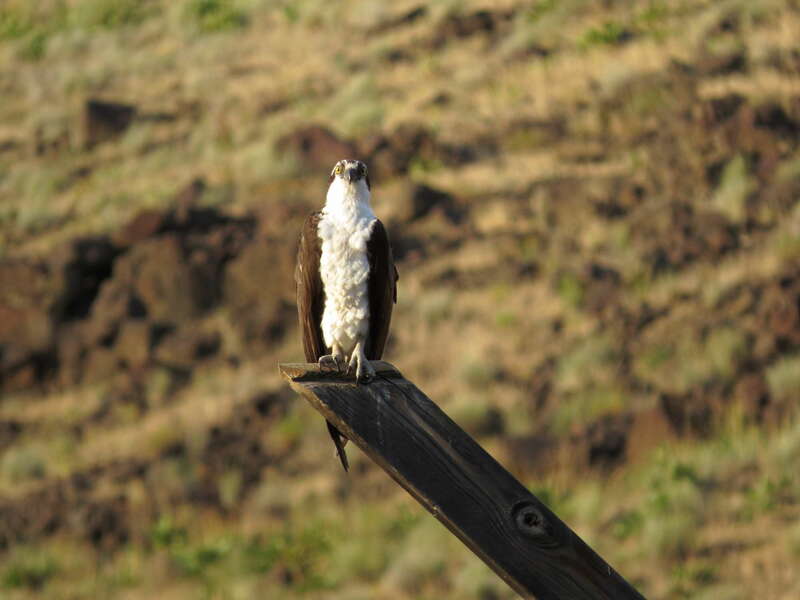 Here’s a nice look at the buff-white forehead patch. 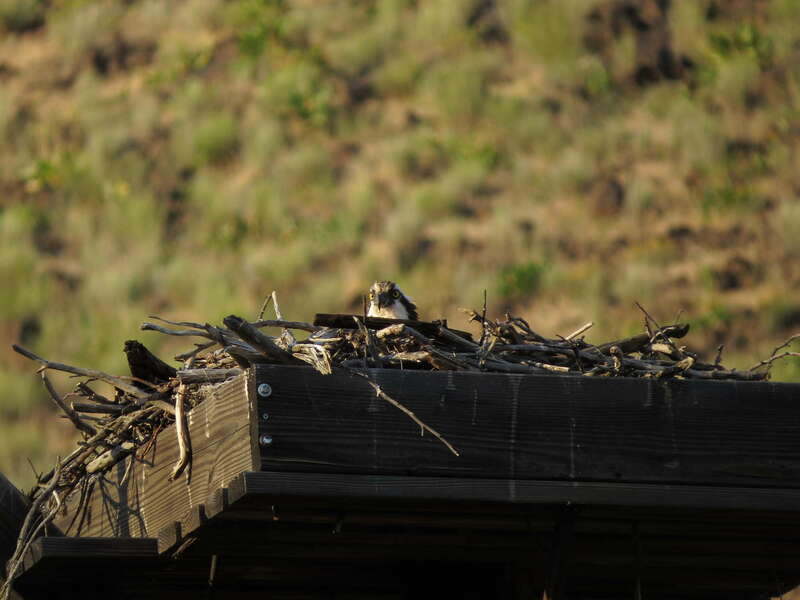 At the Painted Hills picnic area I followed a short trail along a creek and heard Yellow Warblers, House Wren, and I got a few looks at these summer visitors. 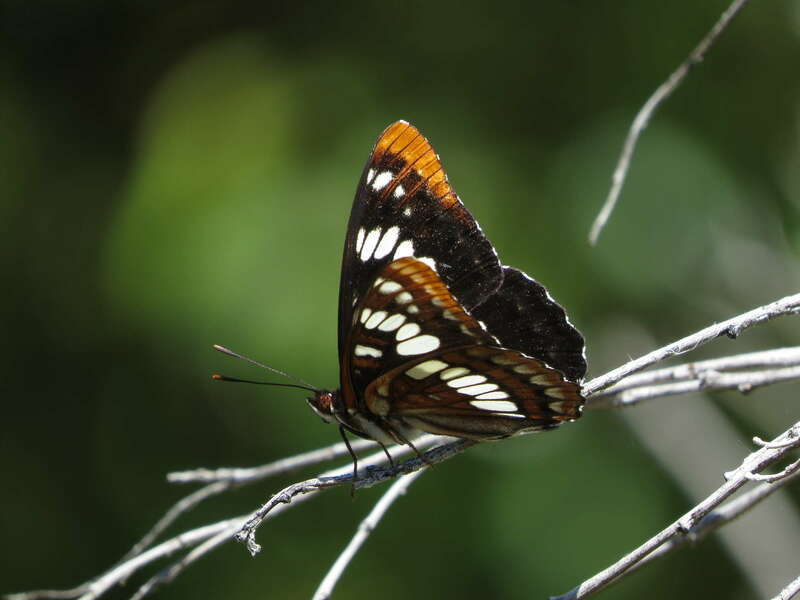 And an Admiral Butterfly for good measure. 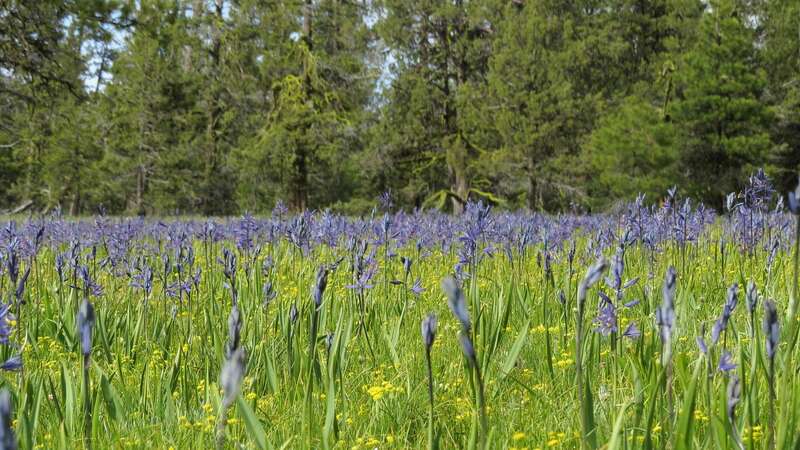 We spent one night at higher elevation in the Ochoco National Forest and camped near a magical field of camas. 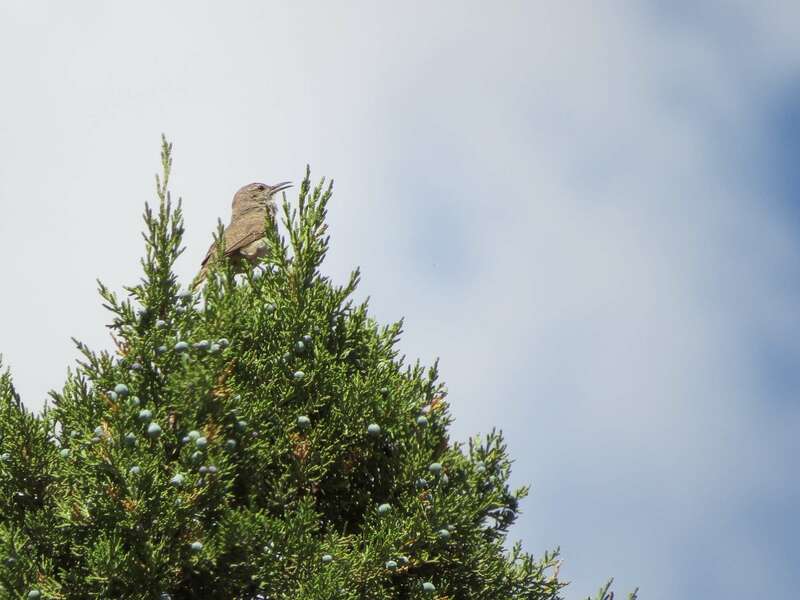 The forest bustled with songs of Mountain Buebird, Cassin’s Finch, Chipping Sparrows, and Lark Sparrows. 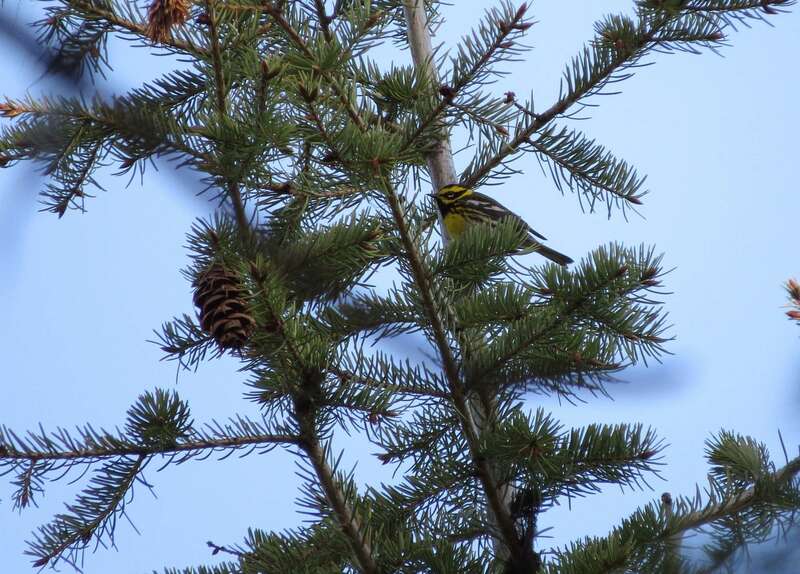 In the morning, I followed a buzzing “Zee-zee-zee-zee-dee-du-dee” until I laid eyes on a tiny Townsend’s Warbler. 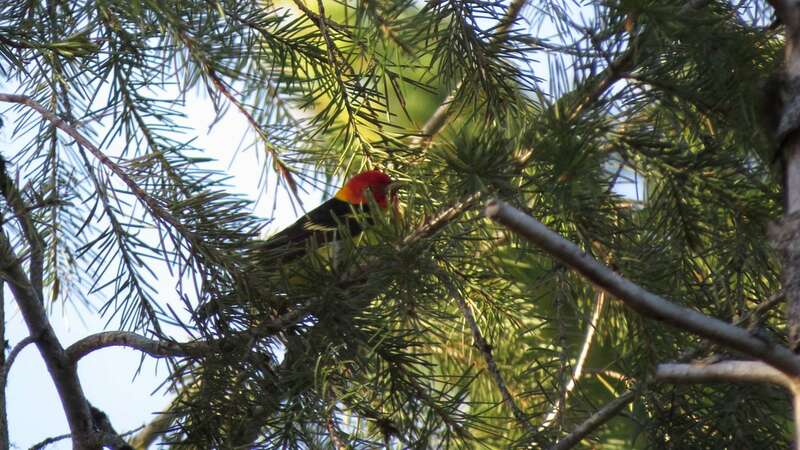 On the way out of the campsite, I caught a glimpse of my first of year Western Tanager! I didn’t want to leave my new happy place. 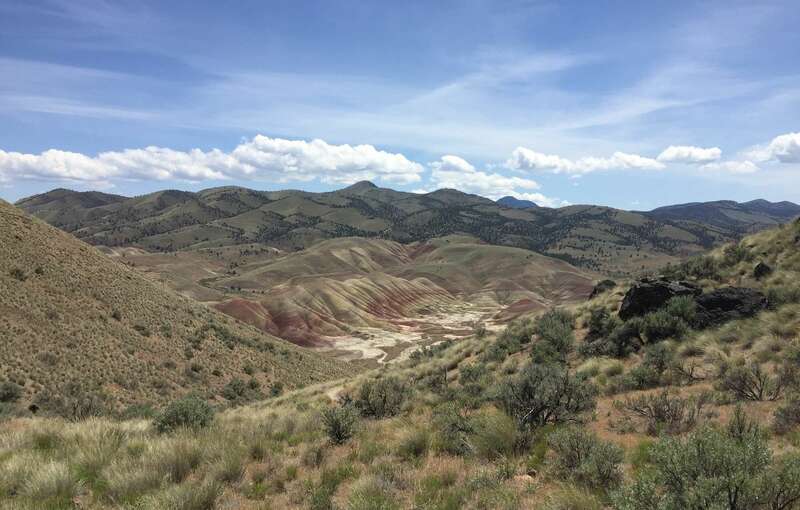 But we had more desert to see. 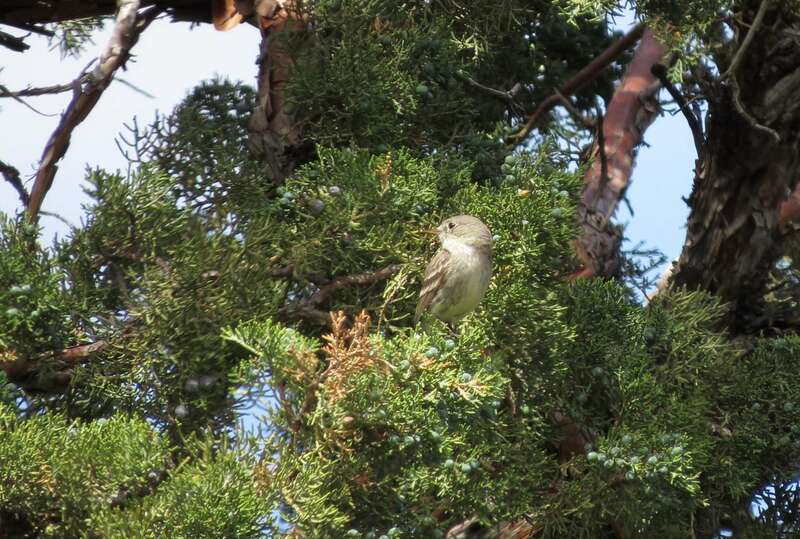 This entry was posted in Birding Trips and tagged Ash-throated Flycatcher, Black-chinned Hummingbird, Bullock's Oriole, Cassin's Finch, Chipping Sparrow, Cliff Swallows, Golden Eagle, Gray Flycatcher, House Wren, Lark Sparrow, Mountain Bluebird, Osprey, Rock Wren, Townsend's Warbler, Western Meadowlark, Western Tanager, Western Wood-Pewee, Yellow Warbler by audge29. Bookmark the permalink. 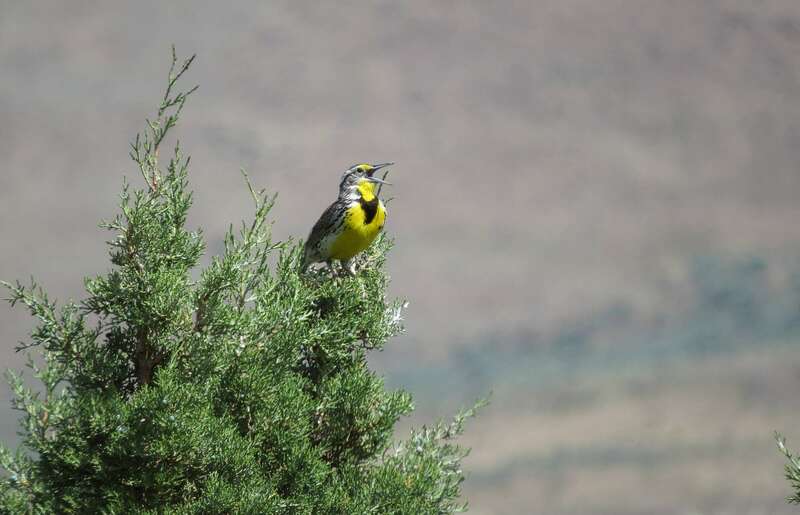 totally agree I was stunned by the scenery of the John Day 3 locations, I didn’t see all these awesome birds there tho!! 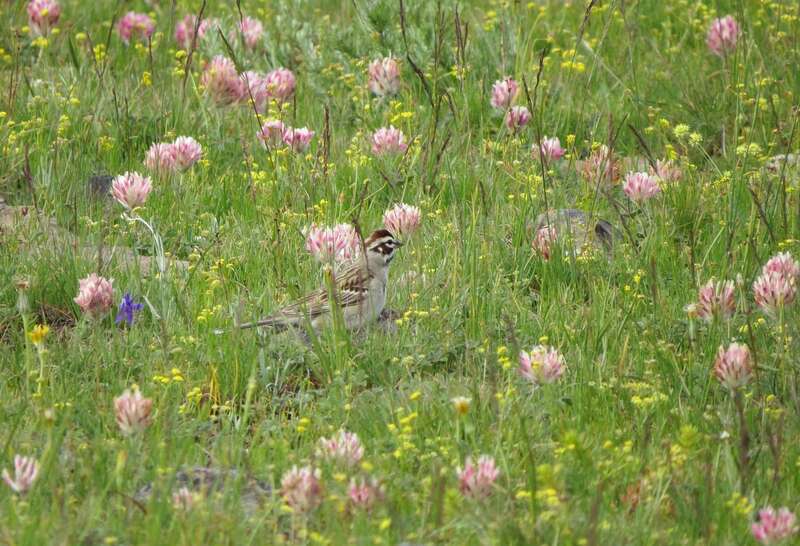 Springtime is awesome out there!